Arthur is the author (no jokes, please, he’s heard them all) of five books. 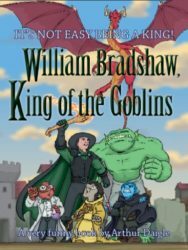 These include William Bradshaw King of the Goblins, William Bradshaw and a Faint Hope, William Bradshaw and War Unending, William Bradshaw and Fool’s Gold and Goblin Stories. These books were almost inevitable given that the author has been a fan of science fiction and fantasy since he was old enough to walk. Major influences include the works of the puppeteer and filmmaker Jim Henson and the British artist Brian Froud. Expect more books in the Will Bradshaw series, as all attempts to stop Arthur from writing have failed. Now… on to the six questions! If you have any questions of your own, please leave them in the comments, and hopefully Arthur will drop by and answer them. I feel that writing a novel is no different than any other accomplishment, such as completing a class in college. You have a goal that you work towards in a slow and steady manner until you reach the end. I had been writing for classes throughout college and found that I enjoyed it. I read a lot of science fiction and fantasy novels during that time, and at the risk of sounded arrogant I found that I was running out of books worth reading. Too many were boring and predictable. Others were pointlessly vulgar. I wrote my first novel as the sort of book I wanted to find in a bookstore but couldn’t. That first novel went unpublished and likely will remain so. 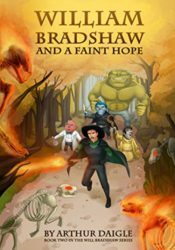 I decided to move in another direction and wrote comedy blended with either science fiction or fantasy. I eventually ended up with a story 76k words long that I was happy with. Relatives urged me to publish it, and with some difficulty I did so. I start my stories by taking long walks alone. During these walks I come up with short pieces of my latest novel, almost like movies running in my head. Such clips run between 30 seconds and five minutes of ‘screen time’, and over several months I come up with many such story segments. Once I have enough to make an entire book, I mentally stitch them together and begin writing on my computer. The actual writing of the book takes about a week per chapter. I come up with more details and jokes while writing, but 90% of the story is done before I begin. I often stop while writing to reread my earlier work and edit. When the rough draft is finished I pass it around to three beta readers for comment. After that I give the book several rounds of editing where I read the book aloud from start to finish. I find that doing so makes mistakes much more obvious. I enjoyed the Honor Harington series by David Weber. It’s great space opera and one of my favorites. The series would require epic levels of special effects for the ship battles. The biggest problem is how much detail Weber puts into his books. Much of it is in the form of info dumping, normally a sin among writers but in this case critically important. If too much of this were edited out then the viewers wouldn’t know what was going on. can help a real one. I can make you laugh without you having to ask the kids to leave the room, with a world so insanely stupid it makes our one seem almost normal in comparison. 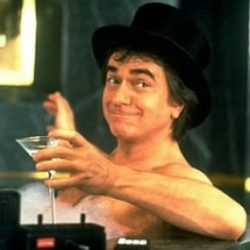 Great interview, Arthur. Your writing process seems very similar to my own. Writing scenes in your head, rereading and editing as you go. Love your elevator pitch! Thank you. I find that doing regular edits rather than saving it for when the book is finished makes the job more manageable, and it helps remind me of details that may be important in later chapters.